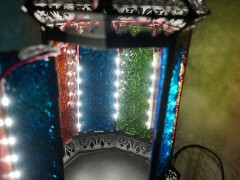 I bought a stained glass lantern on E-bay and outfitted it with internal LED light strips. 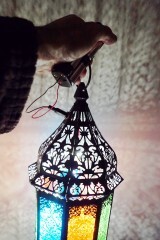 Provides lovely illumination. Positively uplifting.